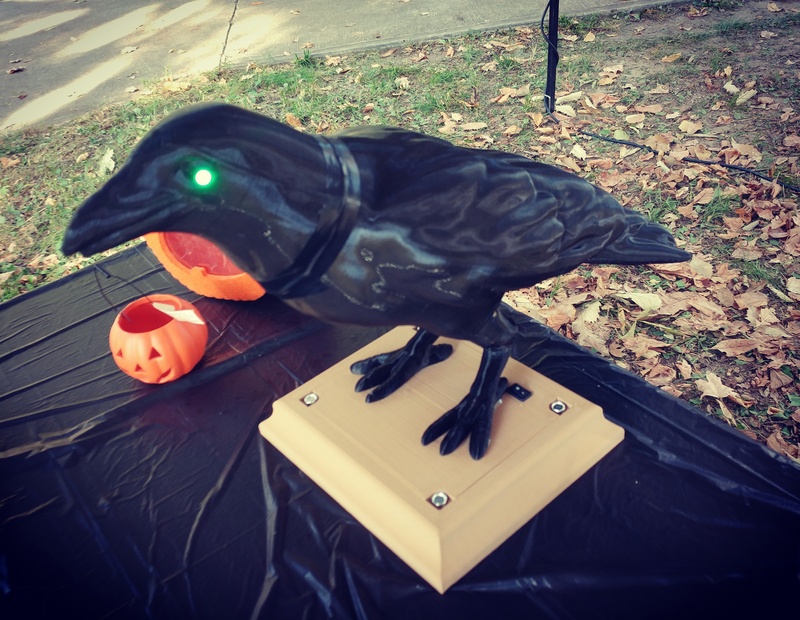 I printed danman’s Halloween Crow from Thingiverse at 98% to fit my PRUSA printer, added LED eyes and made a custom base for it. Note: See commented sections in the INO code file for links and URL information for parts programming etc. I used a micro rocker switch – you’ll have to modify the CAD file or STL for a switch of your choice. Since there are 1000’s of switches out there I will ignore & delete requests for a specific switch.